WataugaWatch: What Happens to Sand Castles? What Happens to Sand Castles? Gov. 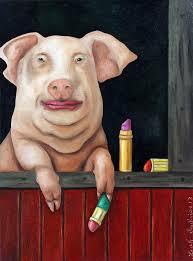 Squishy tried to put lipstick on his HB2 pig yesterday -- issuing an "executive order" that did precisely nothing but signal to Republicans just how squishy he is. Revealingly, the real dictator in Raleigh -- Republican Senate leader Phil Berger -- immediately jumped in and said that McCrory’s order “put to rest the left’s lies” about the new law ... so that was all coordinated to look like someone somewhere was backing down, while HB2 remains exactly what it was. Fact: The governor can't change a state law passed through the General Assembly and signed by him, cannot change it by "executive order" or by magical thinking. Can't change a bit of it. What he did was suggest that the General Assembly come back and change some provisions (though not the most offensive ones). Rep. Paul Stam, the speaker pro tempore of the NC House, wrote in an email to the NYTimes yesterday: “A governor can’t repeal a law, and he did not. He did ask for one sentence in the law to be modified.” Stam, another powerful conservative in the General Assembly, added that he wasn't in the least bit interested in changing the law. That the governor is now frantic to get this monkey off his back -- after repeatedly claiming that HB2 did not take away anyone's rights who had them previously -- and the fact that Phil Berger didn't stomp on his waffling shows just how spooked the entire Republican leadership has become by the reaction of the business community nationwide. And the courts haven't even gotten their shot yet at HB2. Cannot let this go by without pasting this link....Every town needs its own gender-identification officer! NC Republicans, Are You Ready for a Purge? 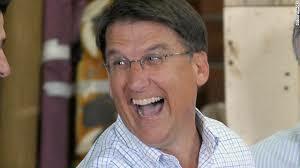 Justice Is Coming for You, North Carolina! A Sign of the Times in Marion, NC?